Where in the world do we start about this place? How about at the front door. We arrived early to set up for the hoards of people we just knew were going to come, yeah, that didn’t happen. More on that later. The bar opens at 5 pm, not 4:45, 4;55 but promptly at 5 pm. So we waited with about 20 other people. Never have we been to a place that commanded such a following or dedicated crowd. Our interest has been peaked! Located next to a gas station and a strip mall riddled with vape shops and a dive bar, you wouldn’t expect to find this place. It’s like a hologram suite on the Star Ship Enterprise (TNG): It’s a regular day outside, but inside you are in an entirely different environment. Herbs & Rye is for all intents and purposes a Speakeasy. Secret doors to offices, dapper waiters and hosts and a drink menu to die for! The red velvet walls, low lighting and great atmosphere lent to the cool vibe of this local tavern. They graciously set up a nice table for us and took great care to make sure we were taken care of during the time we were there. The owner, who appeared out of one of the secret bookshelf doors was super chill and matched the attitude of the bar he created. Let’s talk about the menu. For Happy Hour, well drinks, beers and few wines were priced 1/2 off, but the biggest draw for the HH crowd is the half off steaks! YES! We are talking a full sized, cooked deliciously until you are ready to run around the restaurant and ask everyone “Why are you not eating this!? ?” For appetizers, there were two that qualified for HH pricing: Spicy Mussels and Littleneck Clams. The mussels, served in a tomato stew, was a plate full of flavor. There’s enough to feed 2-3 people and to use the baguette to clean up the leftovers. Trust us, you will want to do that. The Littleneck Clams in butter, herbs and lemon…..give us a second we are reliving that moment. Divine. It was like the butter grew feet and danced all over your tongue with lemon leading them in a lively version of Riverdance. Again, use the baguette people! Just use it! Jonny T of Scared Scotchless loved the whiskey selection. He was like a giddy little school boy who was on his way to see his favorite teacher! An active member of The Scotch Addicts group on the book of face, he didn’t waste time in telling the other members of this hidden gem. Read about his adventure soon on his page Scared Scotchless. The cocktail menu is separated by periods of time: Gothic, Golden Age, Old School Age, Prohibition, Years of Reform, Rat Pack Era, Tiki Boom, and Revival. That takes you from 1776- present time. ARE YOU KIDDING US!!? 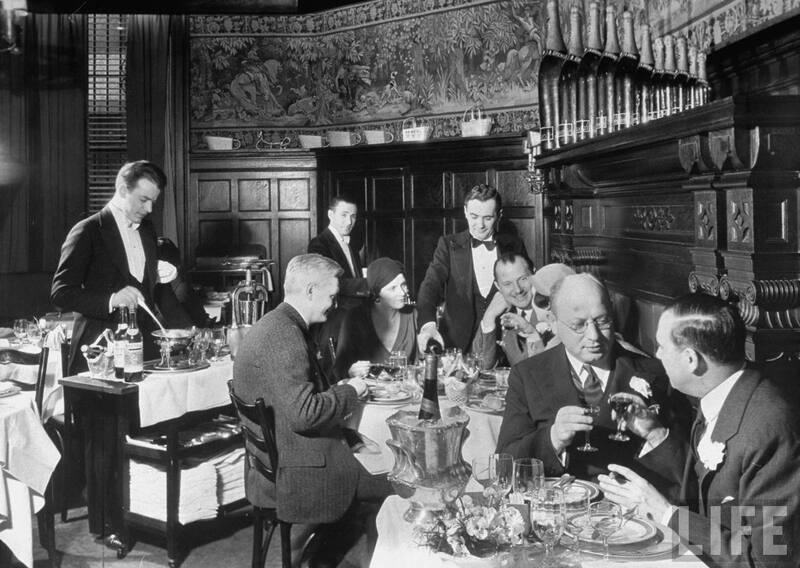 Most of the group stayed in the Prohibition section with The Bees Knees and the Mary Pickford. To describe it is to raise your expectations, but we want you to be the judge of the how great these drinks are and try them for yourself. But just to let you know…The Bees Knees is just that….the bees gosh darn freaking knees. This location rates high on our drinkable scale. The limited HH drinks were just like other bars, but we recommend that you go with higher price expectations and try some of their specialty cocktails and have the freaking steak!! The Happy Hour Gang is not associated or affiliated with Herbs & Rye. 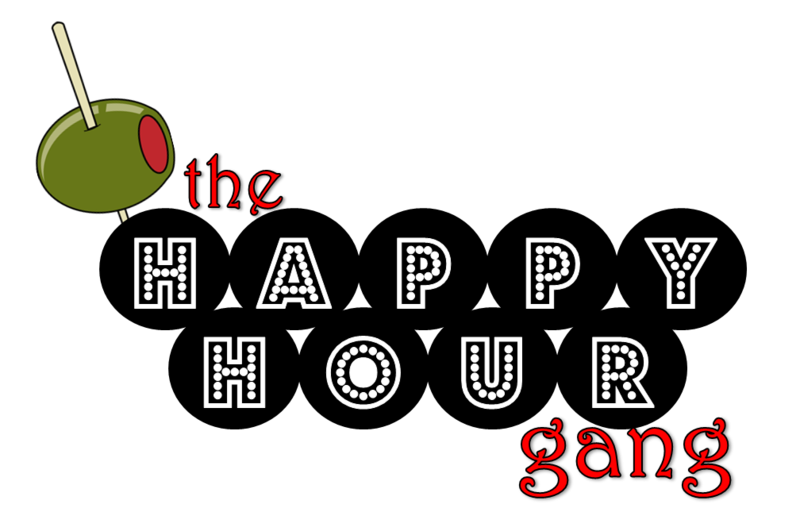 Reviews are based on the attendees of a planned meeting by the members and hosts of The Happy Hour Gang.